Its Hedgehog Awareness Week this week. 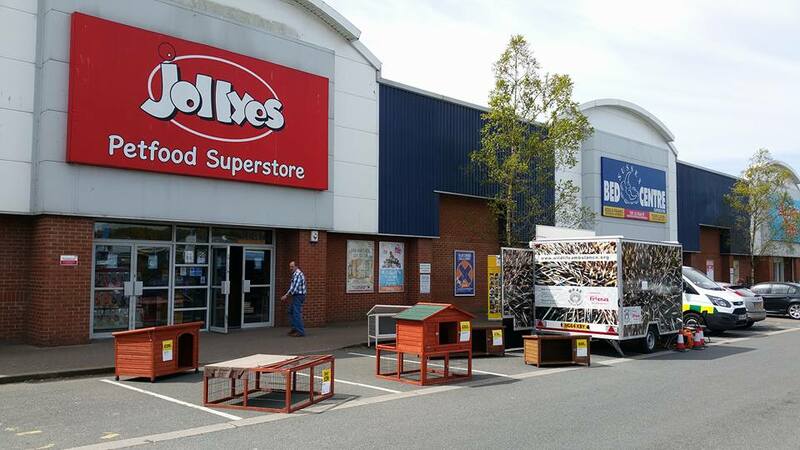 We have been at Jollyes in Hailsham between Sunday and Tuesday, and outside Polegate Town Council office on Wednesday. It has been really nice to meet so many people keen on hedgehogs. 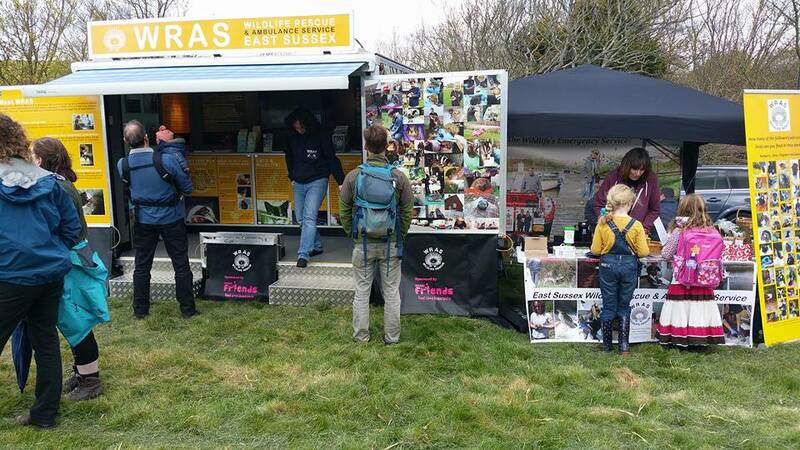 Our educational trailer has been out helping to teach people about hedgehogs too. Wednesday and Thursday night we are doing survey work in Polegate and Seaford and hope to find some of the hundreds of hedgehogs we have previously released. Hedgehogs are thought to be declining by about 5% a year, and although East Sussex has a good population we are getting called out to up to 500 a year across the county, many which have either been attacked by dogs, hit by cars, trapped in discarded netting, fallen into ponds and have been unable to get back out, stuck in drains, burnt in bonfires, caught by strimmers and lawn mowers as well as nests destroyed by cats much more. Hedgehogs are adorable creatures and the most common mammal we see at our Hospital. It is thought that one of the biggest reasons for the decline is people blocking hedgehog pathways when installing new fencing or proofing gardens so they can’t roam through large enough areas to find food or other hedgehogs to mate with in order to keep the population going. You only need a hole the size of CD for hedgehogs to get in and out of gardens. Don’t forget to book on our Unusual Quiz Night for Friday 7th May 2016 at East Dean Village Hall. These quizzes are always great fun and entertaining with things to taste, touch, smell, watch, listen to and do! The Quiz comes with a veggie meal included. Tickets are £10 per person and teams can be of up to 6 people. Doors open at 7pm with the food being served around 7.30pm and the Quiz starting about 8pm. To book your tickets please call 01825-873003. Our Orphan Team is working really heard at the moment and are still in need of people to join the team as we are becoming inundated with little ones needing more help! We are particularly short at weekends for the following shifts: Friday or Saturday 7am-10am, Saturday or Sunday 10am-2pm, Saturday or Sunday 2pm-6pm, Saturday or Sunday 6pm-10pm. You must be able to commit to a weekly shift throughout spring and summer (although obviously holidays are allowed), no experience necessary as training is given on the job. Please contact Lindsay for more information or to apply, lindsay@eastsussexwras.org.uk or call 01825 873003, thank you. Other calls this week have included rescuer Tony dealing with a pigeon in Eastbourne that sadly had to be put to sleep due to extent of its injuries. Rescuers Andrew and Charlotte have been dealing with a Crow with an injured leg in Lewes skate park. Rescue Coordinator Chris has been at the centre dealing with an injured hedgehog from Heathfield possibly hit by a car. There was also a young starling found in Herstmonceux now with our Orphan Team. 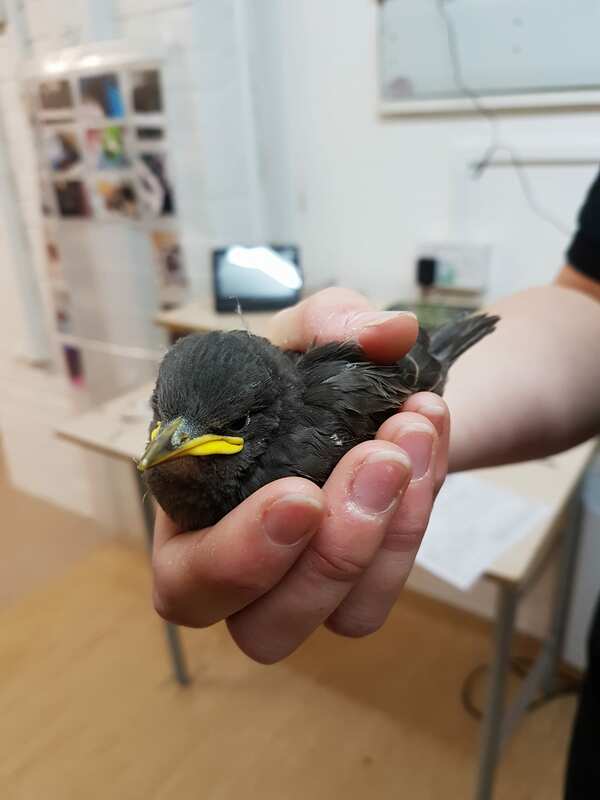 Young pigeon was collected from Bexhill Wildlife Rescue, a fledgling sparrow rescued and released from the Spar shop in Grove Road, Eastbourne, a young blackbird grounded on a patio in Uckfield and a pigeon was delivered from Bodium Castle with an injured wing. 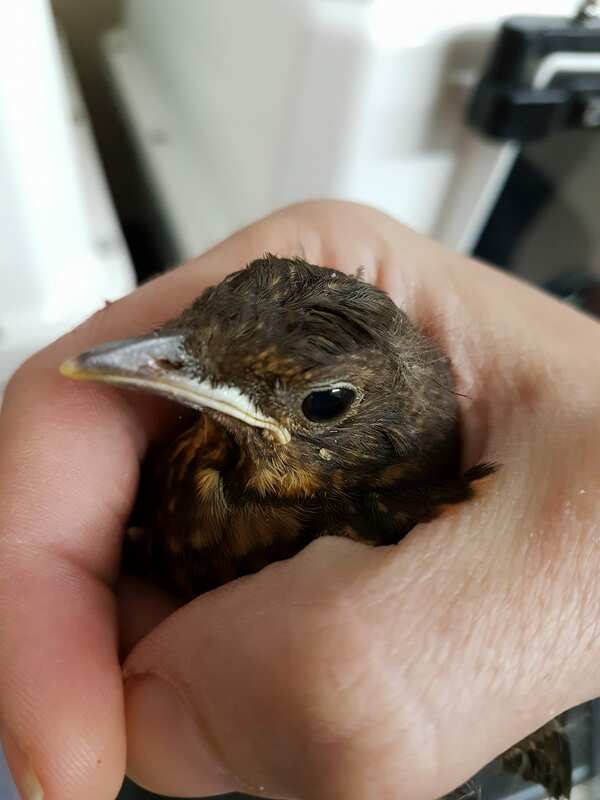 Ambulances have also been to an injured pigeon in Eastbourne, an injured blackbird at North Chailey, an injured pigeon in Spring Close Eastbourne, a hedgehog which had to be rescued in Ringmer and rushed to vets for an X-ray after being caught in a spring loaded rat trap, along with loads of others. Badger Trust Sussex asked WRAS deal with an injured Badger found behind a coffee shop in George Street, Hastings. Rescuer Tony attended on site and managed to catch the feisty badger which has a territorial bite wound above its tail and a rotten tooth. The badger is now at our centre. Our vet Mike sedated and cleaned up the wounds and vet Chris is due to remove the rotten tooth this week.